One day to go until July 1st and the free agency period starting. The Leafs jumped the gun on Thursday when they announced that they have re-signed forward Jay Rosehill to a one-year one way contract. The 26 year-old Rosehill appeared in 26 games last season with the Maple Leafs recording one goal, three points and 71 penalty minutes. In his NHL career he has played in 41 games with five points and 138 points. Prior to his callup to the Leafs, Rosehill recorded career highs in goals (seven) and points (13) in 32 games while a member of the Toronto Marlies. It's been a fairly quiet day in the hockey world on Wednesday but there is some junior hockey news that pertains to one Leafs prospect. Getting drafted by the Otters means that he will be on the same team as another Leafs prospect in Greg McKegg who was picked in the second round in 2010. Last season, Olden played for the Modo under 20 program and had 22 points in 33 games. The native of Norway represented his country at the 2011 World Juniors in Buffalo. 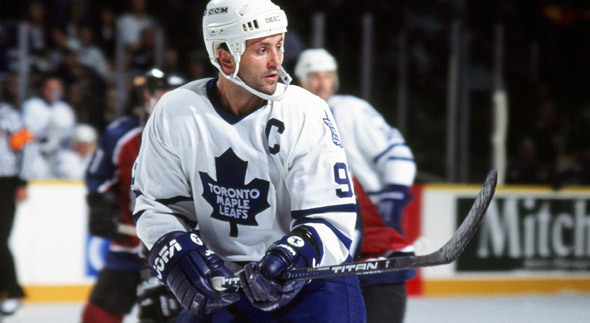 You can listen to Doug Gilmour's conference call with the media as he talks about the honour of joining the other greats that have played the game. Now that the 2011 NHL Entry Draft has come and gone, the next big date on the NHL calendar is July 1st and the start of free agency. NHL.com looks at some of the top players by position that might be available on Friday. For the forwards, it starts with Brad Richards who would be a great addition for any team. The list has been updated to not have Brooks Laich who has re-signed with the Washington Capitals. On the blueline, there isn’t a true stud defenceman and the list has gotten shorter with Kevin Bieksa reportedly signing a new contract with the Vancouver Canucks. There are puck moving defencemen including former Leaf Tomas Kaberke, Joni Pitkanen and Christian Ehroff. The goaltending situation for the Leafs is pretty settled but many teams can find capable netminders as the list is a pretty long one. The 2011 Hockey Hall Of Fame announcement will be taking place on Tuesday at 3 p.m. and several former Maple Leafs could finally get the call. Dave Andreychuk, Ed Belfour, Doug Gilmour, Eric Lindros, Alexander Mogilny, Joe Nieuwendyk and the late Pat Burns are some of the names that could be entering the Hall Of Fame in November. Leafs head coach Ron Wilson was on the FAN590 Tuesday morning with Brady & Lang. Here is the link to the full interview. They talk about the new coaches, what having James Reimer for a full season could mean and a little U.S. Open and Rory McIlroy. Both of the Leafs new assistants coaches Greg Cronin and Scott Gordon were on the FAN 590 Tuesday. Cronin was on the Jeff Blair Show talking about the interview process, getting the opportunity to coach in the NHL and much more. Have a listen to the full interview. The NHL's Board Of Govenors approved changes to two rules as the definitions were broadened for boarding and illegal head hits. You can read the full release from the NHL right here. The Big Save took place at Air Canada Centre on Monday. The blood donor clinic raised a Canadian Blood Services record of 574 units. Here is a recap of the event. 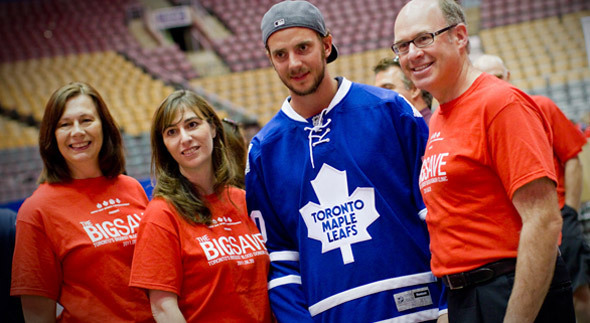 Jonas Gustavsson was one of the Leafs players at the Big Save. It was another tough season for Gustavsson but he is looking ahead to training camp in September. Here is the entire story. Monday was a busy day with the Maple Leafs adding two new assistant coaches to the staff. Mike Ulmer says that the moves were made to bring in fresh voices. You can read the full story right here. Although he wasn’t present at the announcement, Wilson spoke with the Toronto Sun’s Steve Simmons. Wilson was very open about the decision to let go two coaches who he has known and worked with for many years. Read the full story here. The NHL Draft is just three days away and TSN has released their top 60 players. You can take a look at their list right here. Ryan Nugent-Hopkins is the top ranked player. The Maple Leafs made two changes to the coaching staff on Monday. Brian Burke announced that Scott Gordon and Greg Cronin have been hired while Tim Hunter and Keith Acton will not be back. You can read the full press release right here. Gordon was a goalie on the 1986 Boston College Eagles that it to the Beanpot Final. Here is a video called the Beanpot Trot. Enjoy "Flash" in action. 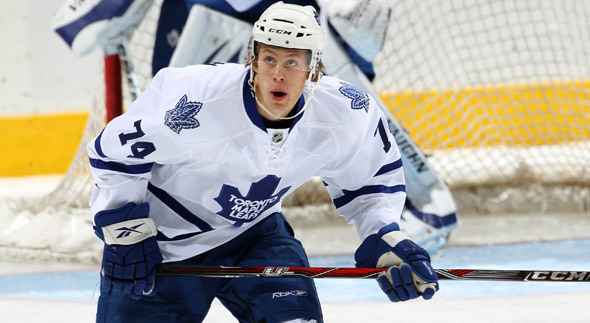 Over the weekend, the Toronto Marlies re-siged forward Ryan Hamilton. Here is a statement from Dave Poulin on having the Oshawa native back. "We're very excited to have him back. He represents everything we want in our organization." This is a big week for the Maple Leafs. The 2011 NHL Entry Draft is four days away in Minnesota with the Leafs having 11 draft picks, three in the first two rounds (25th, 30th and 39th). 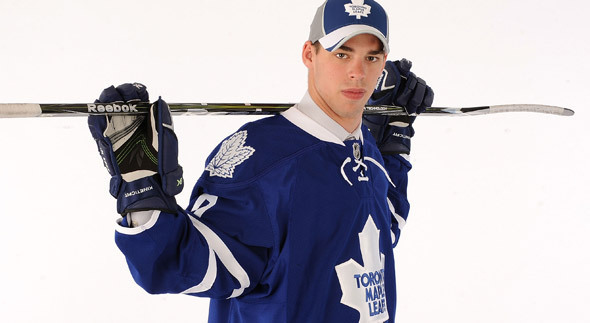 Continue to check our 2011 Draft Central for all the latest Leafs draft news all week long. Will the Leafs be able to move up? That is what Burke is trying to do as he has said numerous times in recent weeks. Mike Ulmer said that the next two weeks should be fun for Leafs fans with the draft, free agency and possible trades taking place. Read the full article right here. TSN reported late Sunday that the salary cap for the 2011-12 season has increased by almost $5 million to $64 million with a floor of $48 million. Read the full story here. On Friday, Hockey Canada announced the 46 players that have been invited to Canada’s National Junior team summer development camp. Leafs prospect Greg McKegg was one of the players invited to the camp. Last season McKegg had 92 points (49 goals) with the Erie Otters. He also played two games with the Toronto Marlies recording one goal. Here is the full list of players invited to the camp. With the Bruins winning the Stanley Cup, the Leafs will now have the 30th pick in next Friday's NHL Entry Draft. In the Kaberle trade, the Leafs end with Joe Colborne, Boston's first round pick this year (30th) and Boston's second round pick next year. Leafs goaltender James Reimer was on the Bill Watters Show Wednesday. - On his contract: Both sides are happy and that is the best outcome. It is a one-way contract. - World Championships experience: It was fun, a lot of fun. To get that opportunity in that type of tournament was great and to be able to support your county was a special feeling. - On taking over as the starting goalie: I was always hoping to get the chance and make the most of it. We got on a roll as a team and good things happened. - His endorsement deal: I met some people last summer from Firstar and I got to know them and it continued throughout the winter. It is a good organization and a good group of guys and it seems like a fun little project. It is base layer products, a sort of lu lu lemon crossed with hockey. Maple Leafs president and general manager Brian Burke was also on the Bill Watters Show Wednesday. - On the Canucks: A lot of the key players on the team are players that either I or Dave Nonis brought in. - On contract talks with the RFAs: We don’t give updates on contract negotiations but we’ve had discussions with all of our RFAs (Tyler Bozak, Clarke MacArthur, Luke Schenn and Keith Aulie). - Clarke MacArthur: He has arbitration rights and he can choose to go that route. We have had discussions but we don’t provide updates. - Arbitration eligible players: We have two players that can go to arbitration (MacArthur and Bozak). - Update on unrestricted free agents: To early to say if Tim Brent, Joey Crabb and Darryl Boyce will be back at this point. - Re-signing James Reimer: We believe in this player. Francois Allaire told me prior to last season that he would be a starting goalie in the NHL. - Thoughts on Ben Scrivens: Ben Scrivens had a chance to sign with others teams but he chose our team because of Allaire. We liked his game last season and we intend to sign him. If you missed it, the Leafs signed restricted free agent defenceman Carl Gunnarsson to a two-year contract. Read the full press release here. Gunnarsson is on Twitter and he had a message for Leafs Nation just after the deal was announced. Gunnarsson's blueline partner Luke Schenn was at Mohawk Raceway Tuesday to take part in the draw for the North America Cup. Leafs TV caught up with Schenn to find out his thoughts on the Stanley Cup Finals, Gunnarsson back in the fold and much more. It was a busy day for Leafs on the airwaves in Toronto on Tuesday. Leafs general manager Brian Burke and Joe Colborne were both on the Jeff Blair show. Burke touched on several topics. Here is a brief summary below plus listen to the entire interview right here. - On the draft: There isn’t a lot of big name guys like a Crosby or Ovechkin but there is good solid depth in this draft, a lot of good players at different positions. We have 25 which is Philly’s pick and 29 or 30 depending on where Boston finishes and we have 39 which is our second. We’re really happy with that spread of picks and we think we can get a couple of solid picks out of it. - Added depth: We think we have added a bunch of prospects to our organizational depth for the first time in a while and we have to continue that trend at the draft. We tried to get players that were closer to playing than picks like a Joe Colborne, Jake Gardiner. They were first round picks that have developed. These guys are much closer than players we will draft this year. - Matt Frattin: A big kid, he led the NCAA in scoring. I love guys to play in the American league, but this kid might skip all that. He’s 23 and he had a great year at North Dakota and he might skip that. - Joe Colborne: A bright kid, he starts with a real high IQ on and off the ice. We think he can play in the top six. A top six centre, a character kid and Boston was willing to put him in the deal after some arm twisting. - Off-season training: I'm already training for next season. I'm is up to 218 or 219 pounds but I'm not trying to put on just weight, he's trying to put on muscle and while also improving power and quickness. - Time with the Marlies: Every single guy loves Dallas Eakins and the coaching staff. He gave me a chance to go out and be a big part of the team, he gave me the ice time and put me in pressure situations. - NHL debut: I was too excited and jacked up. You’re playing with great players who can make space for you and I didn't realize that at the start but I calmed down as the game went on. - Thoughts on the trade to Toronto: Boston was unbelievable but getting traded to the Leafs and the last month or two months, it was probably the best two months of my career. I enjoyed my time with the Marlies, the guys are unbelievable and getting the call up was special. I'm so excited to be part of this organization. Listen to the entire interview right here. The NHL Entry Draft in Minnesota is just 16 days away. Our Draft Central is the place for prospect profiles, exclusive video and much more leading up to the two-day event. There has been no confirmation from the team but Marlies captain Alex Foster sent out a Tweet on Tuesday thanking the Marlies and coach Dallas Eakins. He has apparently signed with Sparta Praha HC in the Czech Republic. Long time Leafs trainer Bob Haggert passed away on Monday. He was with the Leafs during their great run in the 1960s. Leafs TV remembers Haggert in this tribute video. David Shoalts of the Globe and Mail looks at some options that the Leafs may have this summer as they look to add a first line centre either through trade or free agency. In the Toronto Sun, Lance Hornby has more on Leafs GM Brian Burke being consulted by Mike Murphy on the formula he used to suspend Claude Lemieux of the Colorado Avalanche in 1996. Murphy suspended Aaron Rome of Vancouver four games for his hit on Nathan Horton during Game 3 of the Stanley Cup Final. While the main 2011 Draft Combine closed out over the weekend, the Maple Leafs had another 40 prospects at the practice facility on Sunday for further assessment. Brian Burke talked to the media about hoping to move up in the first round by packaging one of the first round picks with the Leafs' 2nd round pick (39th). Get more on this in our 2011 Draft Central. With the Leafs trying to get a higher draft pick it has given the Leafs scouts a chance to speak with many prospects who they might or might not have a chance to pick come the draft on June 24th in Minnesota. You can read the full story from The Toronto Star right here. Burke appeared on the FAN590 morning show Monday to talk about moving up in the draft, the status of contract talks with the teams RFAs and also about The Big Save. Listen to the entire interview right here. Wondering what The Big Save is? On June 20th, it will be Toronto's largest blood donor clinic which will be taking place at Air Canada Centre from 10 a.m.- 7 p.m. Get more info here and to also book your spot. The 2011 NHL Entry Draft is fast approaching. We've launched our Draft Central which you should check out for prospect profiles, features and exclusive Leafs TV interviews. Mapleleafs.com's Mike Ulmer went one-on-one with Leafs Director of Amateur Scouting Dave Morrison. It is an excellent read as he talks about how scouts have to adjust to the changes in the NHL game when they are scouting players. Read the full story here. Earlier in the week, it was the deadline for teams to sign their 2009 Draft picks. The Leafs didn't sign three players, Barron Smith, German Jerome Flaake and U.S. collegian Ben Winnett. The Leafs signed five of their seven draft picks from 2009. Eric Knodel, a fifth round pick is heading to the University of New Hampshire and will remain Leafs property until he leaves school. You can read the full article from The Toronto Star right here. - How was he able to wheel and deal to acquire the Sedin twins at the Draft? He explains the long process with great insight including his goal of getting three of the top four picks that year. - The change that the NHL announced earlier in the week with Brendan Shanahan taking over as league disciplinarian from Colin Campbell. - He talked about the Leafs strong second half and how that was more of an indication of what the team could do going forward with solid goaltending and a more aggressive team. - He was asked about the Leafs acquiring the rights to a player who would become a free agent on July 1st. He said that the league has sent out some instruction that he isn't quite clear on the process of jumping the queue. He went on to say that it isn't something that the Leafs are looking at right now. NHL commissioner Gary Bettman gave his State of the NHL address earlier this week in Vancouver. You can watch the press conference right here.